Mary Oliver wrote the poet James Wright for the first time in 1963. She was 28 years old and unknown, and she had never met Wright. But she had taken his two collections with her when she left Ohio for the U.K. the previous year, and they saw her through a lonely, difficult period. In London, Mary lived in a series of guest rooms and boarding houses during one of the city’s coldest winters, the same year Sylvia Plath ended her life. Her first book, No Voyage and Other Poems, had been accepted by J.M. Dent & Sons, and was published in September to little notice. I had been reading Mary Oliver’s books closely for years when I wrote her a letter in the spring of 2016. I was not in the habit of writing to authors I admired, but I had a reason: I believed that the time to tell her story was now, and I was the one to do so. To my surprise, she agreed to meet, and I flew to Florida to visit her some weeks later. Our interviews began soon after, but by then I knew we had already met in the way that mattered most: on the page. As arranged, I called from the airport, but when Mary came to the phone she sounded surprised to hear from me. It would no longer be possible for us to see each other. The reason had nothing to do with me, she said, but that was difficult to believe. I spent the next four days in Florida, hoping my luck would change. I called as often as I had the courage, and made sandwiches from peanut-butter packets left out in the hotel’s breakfast buffet. During the day, I distracted myself with driving, walking, and reading, over and over again, the same ubiquitous signage about the area’s nesting sea turtles. Back home in New York I prepared to move on, and I almost had, when Mary asked to see my writing. I sent her the biography proposal I had taken over a year to research and write, and I waited. Mary knew something about waiting. It took James Wright almost two years to respond to her first letter. By then Mary had returned from London, and settled in Provincetown. Finding an American publisher for No Voyage was a struggle, but the book was released by Houghton Mifflin in 1965. The week after I sent her my proposal, Mary left me a voice-mail inviting me to return to Florida in the coming weeks. “What I was interested in is your writing,” she said. “And you’re wonderful.” Our interviews began soon after, but by then I knew we had already met in the way that mattered most: on the page. Mary’s correspondence with James Wright would continue until his death, in 1980. They would never meet in life, but Mary would dedicate her collection American Primitive to him, in memory. It won the 1984 Pulitzer Prize for Poetry. 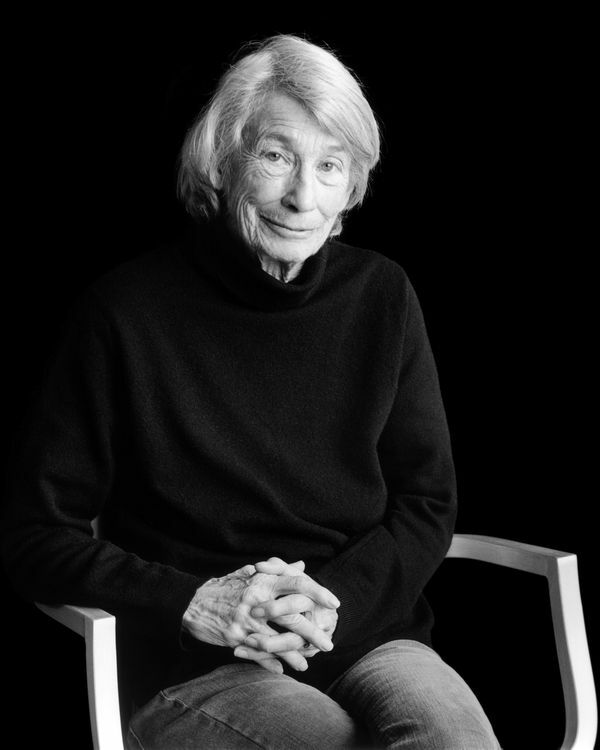 There is a beauty, and a purity, to that kind of connection, but I wouldn’t trade it for the chance to know Mary Oliver as I have, in person and in earthly time.